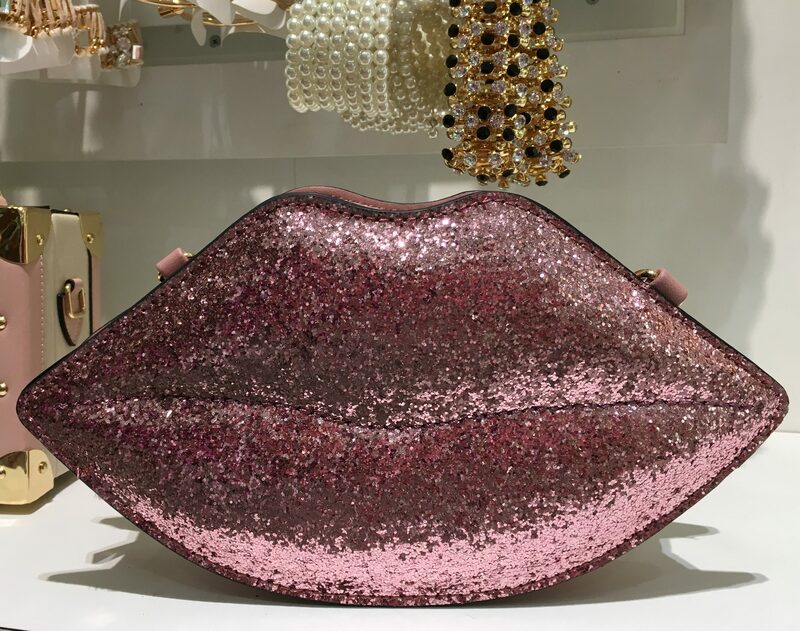 I stopped into the Aldo accessories boutique yesterday afternoon after scoring a serious shoe bargain next door at Century 21, and just fell in love with this glittery pink handbag shaped like a pair of luscious lips! This beautiful bag is compact, yet roomy enough to hold a decent amount of your crap — besides just a smart phone and wallet — and it also includes a slender shoulder strap for hot cross-body action. OMG so cute. 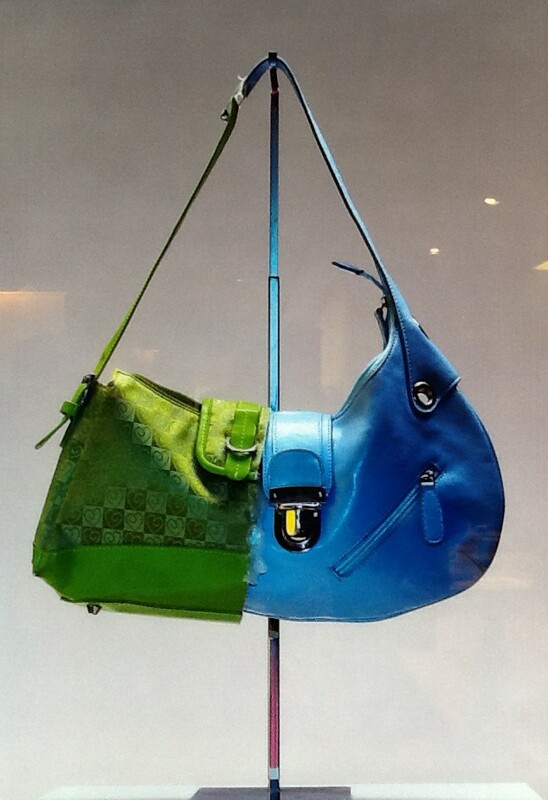 Get yours at Aldo, located at 470 Broadway (and other locations – Google them!) 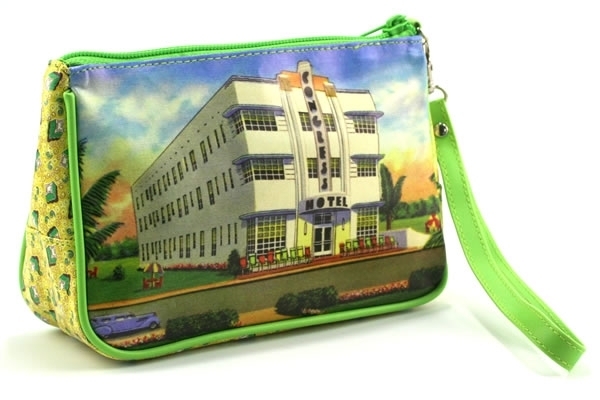 in Manhattan, or buy it online for $45.00 at This Link! 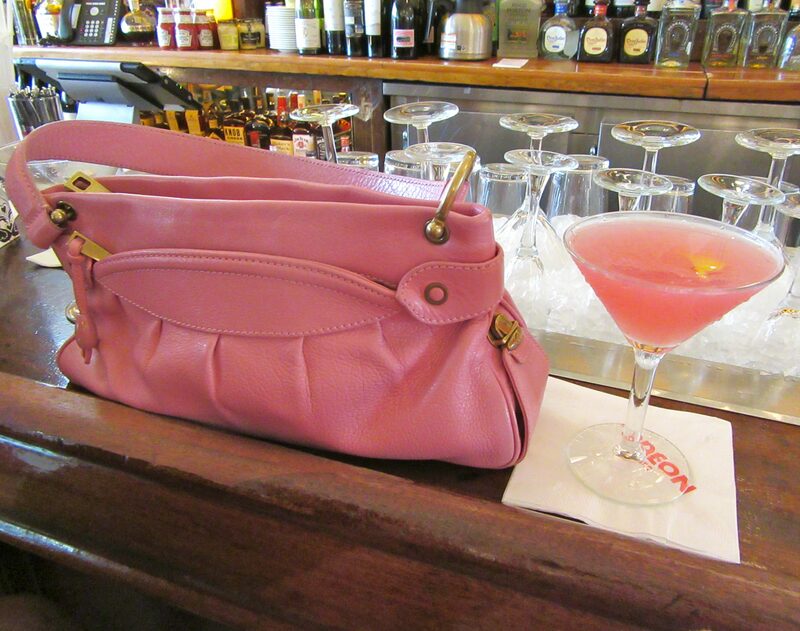 Pink Thing of the Day: Pink Hermes Bag with Karl Lagerfeld Caricature Keychain! I was at the Architectural Digest Design Show a few weeks ago, cutting through one booth on the way to another booth, when I noticed that someone had left this totally sick Fuchsia Pink Crocodile Hermes Bag completely unattended — which is insane, because regardless of what’s inside it, this bag alone is worth as much as a car. But what caught my attention even more than the bag’s awesome pinkness, was this hilarious caricature of designer-god Karl Lagerfeld, rendered in vinyl and rabbit fur, and hanging from the purse’s strap by a key ring. Oh Karl, how cute are you? Splash Out Melly is the official name of this smart clutch bag designed by Kate Spade. 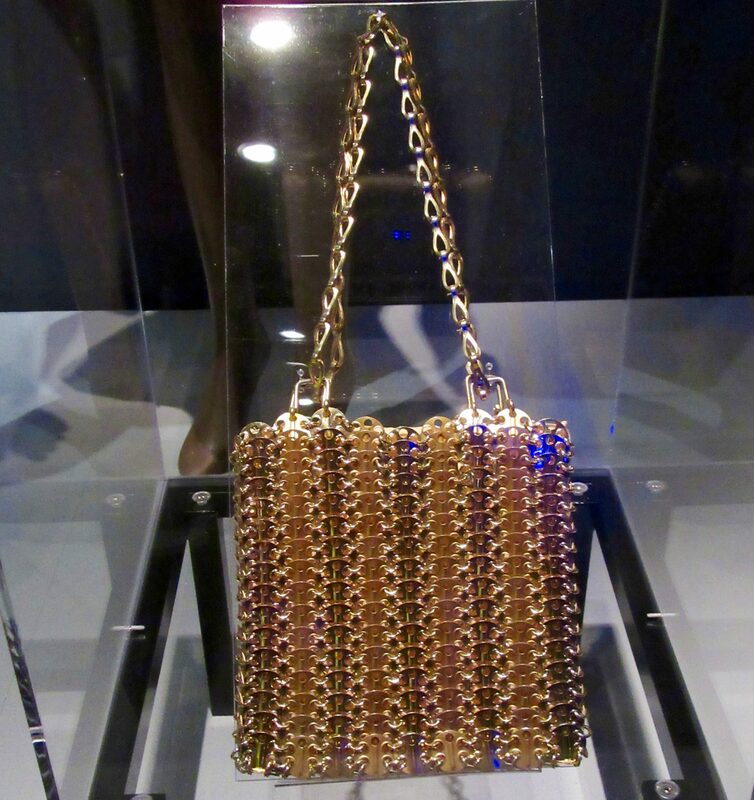 Made of Hologram PVC and engraved with the Kate Spade New York signature, this fierce clutch has a frame closure (14-karat light gold-plated hardware) with Shark Fin bauble and optional chain shoulder strap that folds inside the bag. 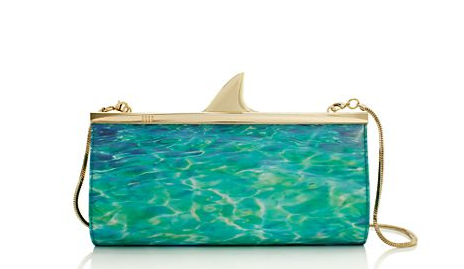 Features one interior slide pocket with detail that reads: “Beware of Sharks.” We love it. Price: $278.00. What a bargain. 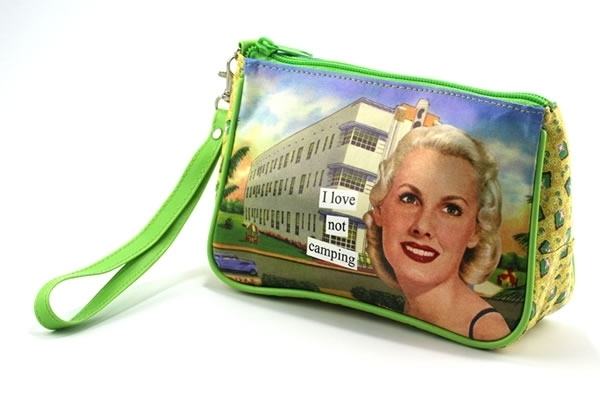 I Love Not Camping Cosmetics Bag! There are many things I love when it comes to vacation time, but mostly, I Love Not Camping! If you, like me, prefer a fancy hotel to sleeping in a tent and combating bugs with a survival knife and not having a bathroom or having to use survival tools to eat canned food, maybe you want to own this cosmetics bag that expresses your feelings? Own it for just $16.95 at This Link !